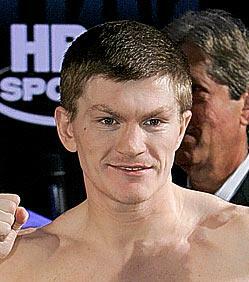 English boxer Ricky “The Hitman” Hatton (born 6/10/1978, Stockport) is a two-time IBF and IBO light welterweight champion. A former WBA Welterweight Champion, he relinquished the title in August 2006. He is also the former WBU, WBA Light Welterweight Champion and WBC, WBA, WBO Inter-Continental Light Welterweight Champion. He was awarded the MBE in the New Years honours list in 2006. Ricky can stand and perform his own after dinner speech.